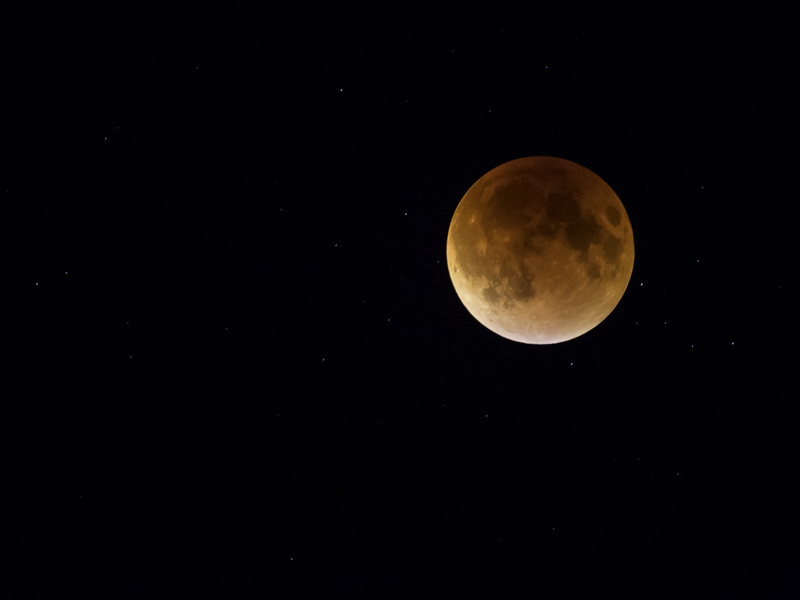 On Sunday eve, September 27, 2015 there was a stunning lunar eclipse with a super moon. 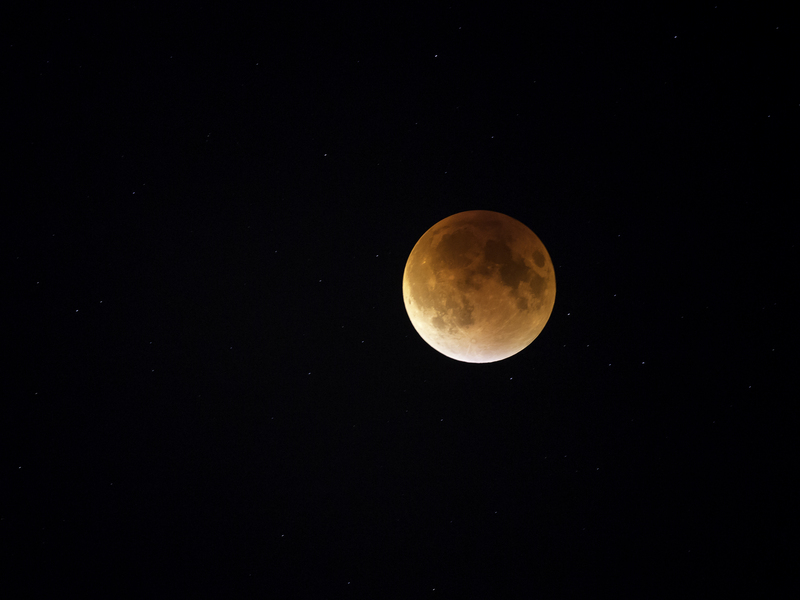 Last seen in 1982, this spectacular night event won’t occur again until 2033. Honestly, I had forgotten that this once-in-a-lifetime event was happening last night. The past week I’ve been overwhelmed with entertaining guests and have barely kept my head above water. Also, we’ve had rain and full cloud cover for days, and the chance of seeing this Super Blood Moon was nearly impossible. Something caused me to wake up and I couldn’t get back to sleep. Someone on Facebook on the west coast asked how the moon was going. ISO 6400, f/5,6, 0.6 of a sec. Auto White Balance. Coinciding with the end of Pope Francis’s visit to the United States with his motivational, insightful, inspirational and religious guidance touched the American spirit. But ask Nasa, and they state that there are no asteroids or comets on a collision course with earth. Science and religion will always challenge our beliefs and yet provide us a foundation that guides us through our day-to-day lives. But to see yours makes it all better. Cheers!! So glad you got it. You too? Did you forget it or had cloud cover. Many had cloud cover and couldn’t see it. I didn’t know about the prophecy until I started looking it up for this post. You did indeed made me smile. Truly seeing it closer really brings out its beauty doesn’t it? Thank you. I’m so sorry to hear that you missed it in your part of the world, but thrilled that I was able to share mine with you. Great shots Emily! Too much rain and clouds last night for me. I’m so glad you got to see it and capture it. Thank you for sharing! I find that so hard to believe Rebecca. I think of you often and miss you. It’s been an over busy year for me and have a hard time keeping up with everyone. I hope all is going well with you. Hugs! Good on you for getting out of bed and managing to capture such wonderful sight! I got up at about 1 am to visit the smallest room in the house and took this opportunity to look out of the windows at the front and back of the house, but, despite the clear sky and a very visible moon in the backyard before bedtime, this teasing satellite was nowhere to be seen and I guessed it was right over the house. I was too lazy and afraid of the cold to go out into the garden, so I missed the eclipse, but the moon was still beautiful and awesome at 6.30 am when I finally got up and it had moved to the front of the house. I am being optimistic and I think we might just make it for the next Supermoon in 2033, as I’ll only be 70 by then! Are you going to make me calculate just how old I’ll be in 2033? Some numbers I’d just rather not know Fatima. LOL! Your story is really funny and put a great smile on my face. Thank you so much. We unfortunately were rained out but not you – what a STUNNING capture – talk about MEANT TO BE! Oh poor Joanne! I feel so much for you. Truly I agree, it was meant to be that I would have a few precious moments with such a stunning sight. Thank you sweet Joanne. You really got some spectacular shots, there is so much that is amazing to see in this world. Your comment really made me introspective Charlie. Indeed, the more I look the more I discover. A glorious thing. Thank you so much for your wonderful comment. Awesome! You were supposed to capture the lunar eclipse! Lucky you! I was waiting for this rare event as well, but we had a thick cloud cover. It’s beautiful! Thank you for sharing, and yes, we need to make every moment count.